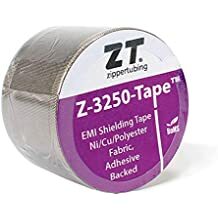 Ztt Alp 500 - Thermal Management Sleeving And Jackets - Thermal Management - Products - ZT | Zippertubing Co.
A durable, 360° thermal protection product that is the perfect choice for applications that require high-temperature, pull-through, cable abrasion protection. 1.0" 1.25" 1.5" 1.75" 2.0" 2.25" 2.5" 2.75" 3.0"
The complete product is inversely sewn in a tear-drop shape, using a “lock-stitch” with a high-temperature, mil-spec Kevlar thread. ZTT® (ALP-500) uses a high-temperature, fire retardant jacketing material made from a light-weight, woven, fiberglass cloth that is coated with a white Polyurethane on one side and a reflective Aluminum on the other side. The (ALP-500) jacketing material is capable of withstanding short burst exposures of temperatures up to 1200°F, and it is ready to take on some of the most abrasive environments. The complete product is inversely sewn in a tear-drop shape, using a “lock-stitch” with a high-temperature, mil-spec Kevlar thread. This specific Kevlar thread is considered to be one of the most durable threads on the market today, resistant to bacteria, mildew, abrasion, age, and short-term heat exposure. During the sewing process, the product is turned inside out so that there are no edges when assembled, which reduces abrasion damage during installation. 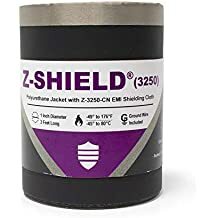 Combining both of these high-temperature materials into one product produces an operational up to 350.6°F, durable, 360° thermal protection product that is the perfect choice for applications that require high-temperature, pull-through, cable abrasion protection. Cable Diameter 1.0" 1.25" 1.5" 1.75" 2.0" 2.25" 2.5" 2.75" 3.0"